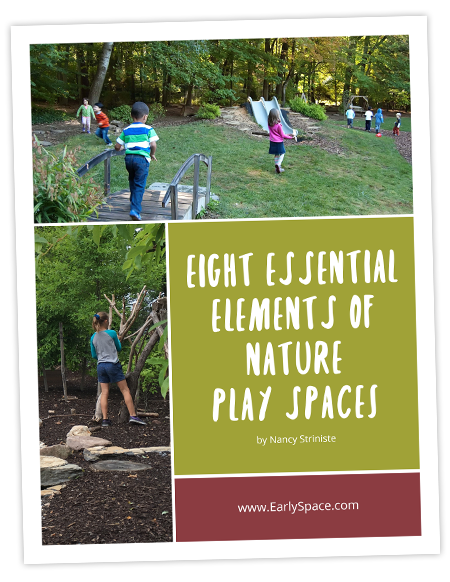 Bring nature play and learning to your neighborhood, schoolyard or early childhood program. Our Nature Play and Learning Master Plans respond to your site, solve problems, and are based on a foundation of community education and involvement. The master plan and written narrative that we provide are the perfect tools for communicating your vision and fundraising. We have partners like a civil engineer who helps with complex projects and permitting; our skilled, experienced and caring contractors are available to install the design. We also offer the planting plans, documents and construction drawings your project requires, and a variety of assistance to make it happen. We always begin with an expert analysis of your site noticing things like stormwater paths, sun and shade, important views, existing plants, and much more that is critical to creating a site that works when it’s all done. We have questionnaires and discussions that help us understand your history and culture. We observe your children using the existing space. It all forms a foundation of understanding so that we can create a playspace that truly responds to your community. This participatory design workshop is enlightening, inspiring and informative event that brings together all of your stakeholders (parents, teachers, administrators, funders and neighbors) and builds energy, ownership and support. The charette gets everyone’s ideas and helps to insure support and success down the road so that the process is seamless and no one is surprised. A preliminary design that captures the vision and shows the proposed layout of your new site is presented for your feedback. We incorporate your thoughts and then create a color-rendered master plan which, along with a written narrative, powerfully communicates the vision of your outdoor space to your community and to potential funders. This facilitates the fundraising that will make your dream project a reality. We work with you to understand and meet the requirements of your organization, jurisdiction, and local regulators. We offer a streamlined process for producing the documents you need for permitting, price quotes, bids and construction. We can call on a diverse, dazzlingly talented team of engineers, contractors, artists, and craftspeople to meet your unique needs. EarlySpace partners with our authorized nature play space landscape contractors to offer you skilled and high-quality installation services. Our authorized contractors share EarlySpace’s commitment to providing the best for children and the environments. We use many green and sustainable materials and practices. Nancy and team have organized and led community build projects large and small; from natural building to planting days to community art, we love to get out there with you and get our hands in the dirt and our toes in the mud. Earlyspace is a member of the Community Built Association.